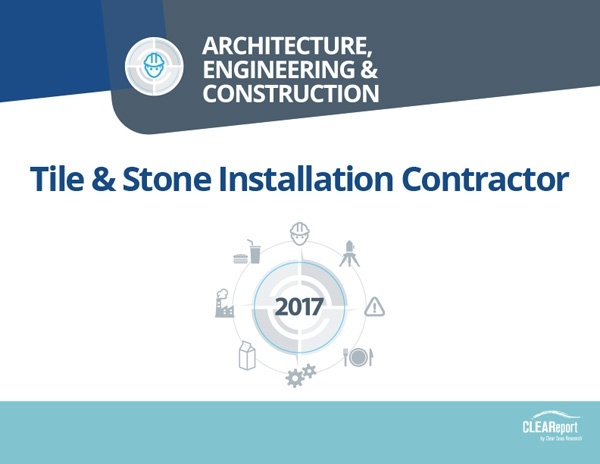 The 2017 Tile and Stone Installation Market CLEAReport measures opinions and current trends from professionals involved in the tile and stone installation industry. The study focuses on all major types of tile and stone installation, including setting materials, surface preparation, finishing products, and tools/equipment. The CLEAReport also provides in-depth analysis, actionable results, trended data and usable recommendations. Vice presidents, Directors and Managers of Engineering, Planning, Sales, Business Development, Human Resources and Operations in the construction/tile-stone industry, including those who provide tools, training, equipment, and services to the industry. Which manufacturers are primarily used and/or preferred among tile and stone installation contractors for the following categories: organic adhesives (mastics), backer boards for floor and wall tile, crack isolation products, cementitious grouts, epoxy grouts, cement based mortars (thin-set), waterproofing products, cleaners, sealers, wet saws and diamond blades, tools and sound reduction products. What are the general business activities and specific applications used by tile and stone installers? Which tile and stone products are most often purchased and from where are these products most often purchased? Which product attributes are most important to the installer in the selection process? 426 online surveys among subscribers of Tile Letter, TILE Magazine, Floor Covering Installer, Floor Trends and qualified myCLEARopinion panel members. Data collected June 9 – September 19, 2017.